The Alpha Iota Sigma honor society has a new chapter at Merrimack. The national honor society was created in 2012, and is geared towards both undergraduate and graduate students doing interdisciplinary studies. An increasing number of students are involved in interdisciplinary majors on campus, and the School of Liberal Arts launched its Interdisciplinary Institute last year. The mission of Alpha Iota Sigma is to recognize and advance the academic scholarship and achievements of interdisciplinary students. This honor society aims to promote the benefits of interdisciplinary study and cultivates collaboration amongst students, faculty and staff. “It is a chance for students to take part in different forms of research. They can enter their essay contest that happens once a year, which works along with their annual conference,” said Madison Savage, a graduate fellow in the School of Liberal Arts Interdisciplinary Institute. The goal of this society on Merrimack’s campus is to get students more involved with the Interdisciplinary Institute. According to Savage, Merrimack’s chapter aspires to be a hub for students and all interdisciplinary faculty on campus and promote conversations between students, faculty and staff. “At the heart of our work is a deep appreciation and respect for diversity in all of its forms. Our programs encourage faculty and students to engage in conversations across disciplinary, cultural and political differences to expand their ways of knowing and experiencing the world,” said Simona Sharoni, the Director of the Interdisciplinary Institute and a Professor of Women’s and Gender Studies. “We also bring renowned speakers and scholars from around the world to our campus,” Sharoni added. A presidential initiative in the spring of 2016 resulted in the Interdisciplinary Institute, which was created and launched by faculty and administrators in the School of Liberal Arts. “The idea was introduced a little more than two years ago, but began operating as a distinct entity on campus last year,” Sharoni explained. The Institute on campus has an advisory board comprised of faculty from all schools across the campus who do interdisciplinary research and teaching. “We work to foster discussion and scholarly and pedagogical innovations that draw on multiple fields of study through public events, publications, and new courses. We also host a Scholar in Residence, often a distinguished scholar with national or international reputation whose role is to enhance our profile and visibility,” added Sharoni. 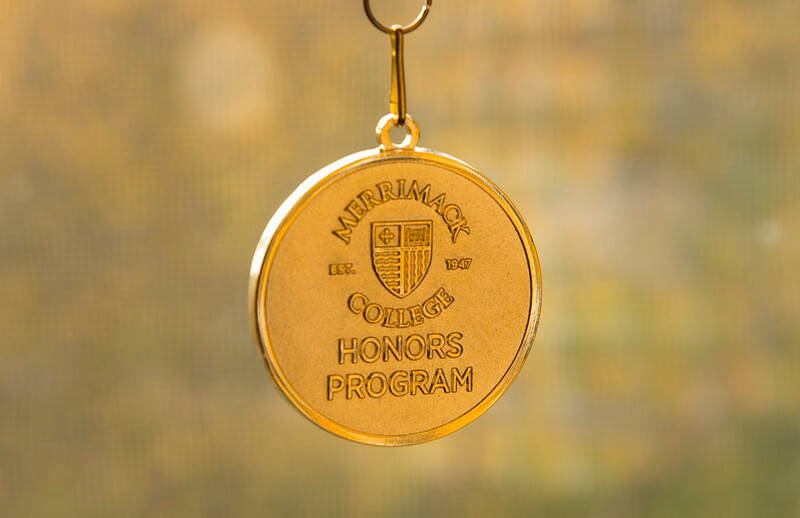 Recognition is one of the main benefits for students who join the Interdisciplinary Honor Society. It offers students the opportunity to be acknowledged as an interdisciplinary scholar. Students also receive a graduation cord along with being able to publish their work onto the Institute’s website. To become a part of Alpha Iota Sigma, students must have at least a 3.3 grade point average, and be enrolled in a major that is considered interdisciplinary. Merrimack is currently waiving the application fee for all students who apply.